Our wine selection by the glass is extensive and our French aperitifs list is selective. Join us any time of day, sit at the bar and enjoy one of our gourmet "sliders" and sip a draft Krönenbourg or a Chimay. Think French and you are at Caribou Café. Jean Luc Colombo Rosé Cape Bleue is your best bet for the summer! 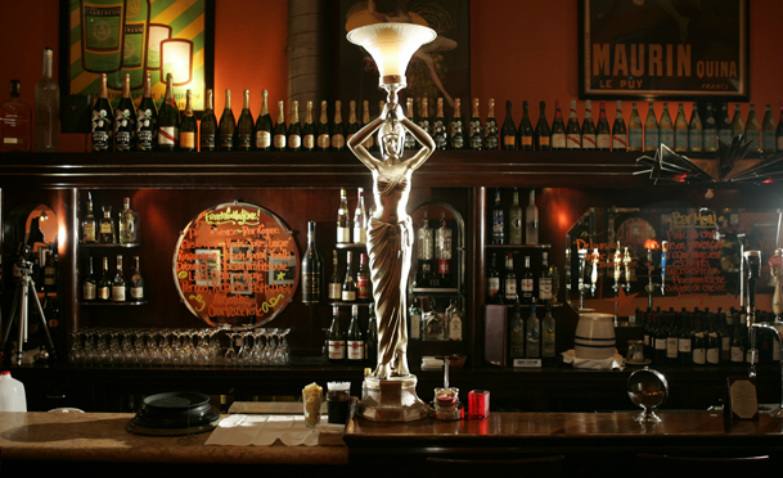 Our knowledgable waitstaff at the antique Belgian art deco bar will help you choose from a broad and creative beer list. Our café section with small round marble tables and bistro chairs leads outside to a large sidewalk patio reminiscent of Parisian bistros. 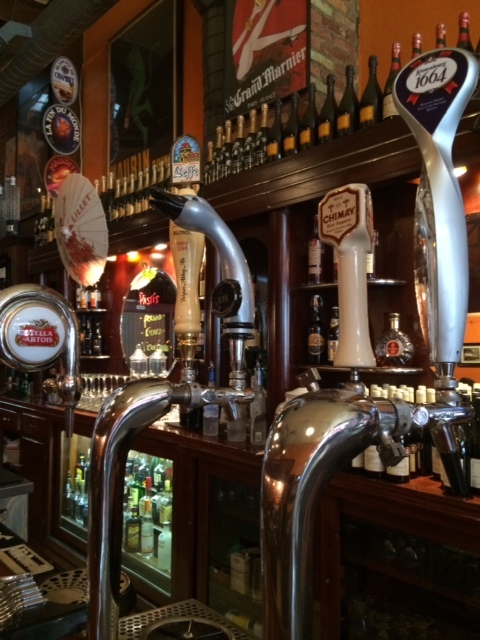 Imported beers from Belgium, France, England, Ireland, Germany, Czech Republic and more. On tap and in bottles, these beers are served in their respective glass. Our wines are mostly French, but there are a many others from around the world. We have over a dozen red and white wines by the glass, and bottles are available of many varieties and price points, including Champagne. You may not find your common wine on this list, but there are some great finds from smaller wineries to try. Our French Aperitifs and selection of cocktails are unique. Give a few a try!